Visit Trans Canada Nissan today and experience what true customer service feels like in Peterborough, Ontario. We know that you’ve more than likely been disappointed with the service you’ve received from service advisors or after-sales departments at other dealerships, and at Trans Canada Nissan we strive to change your perception every day. At Trans Canada Nissan, we know your Nissan vehicle inside and out. Our trained technicians know how to ensure it’s always in perfect condition. 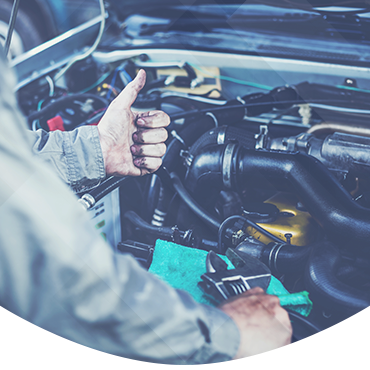 From a simple oil change to recommended maintenance and complex repairs, we’ve got your back at Trans Canada Nissan. You will be amazed by the quality of service you receive at Trans Canada Nissan, where our team of advisors always greet you with a smile and ensure that you receive the best care and value. While you wait for your vehicle, please enjoy our modern waiting lounge. We’ll take the time to explain all the repairs in detail, so you know exactly what is necessary for your vehicle to look and feel its best. That way, there will never be any surprises. Book an appointment with our service department at Trans Canada Nissan today. We promise that we will always aim to exceed your expectations at every visit.